A farmhouse-styled kitchen aims to create a sense of warmth and togetherness for everyone who gathers around the area. 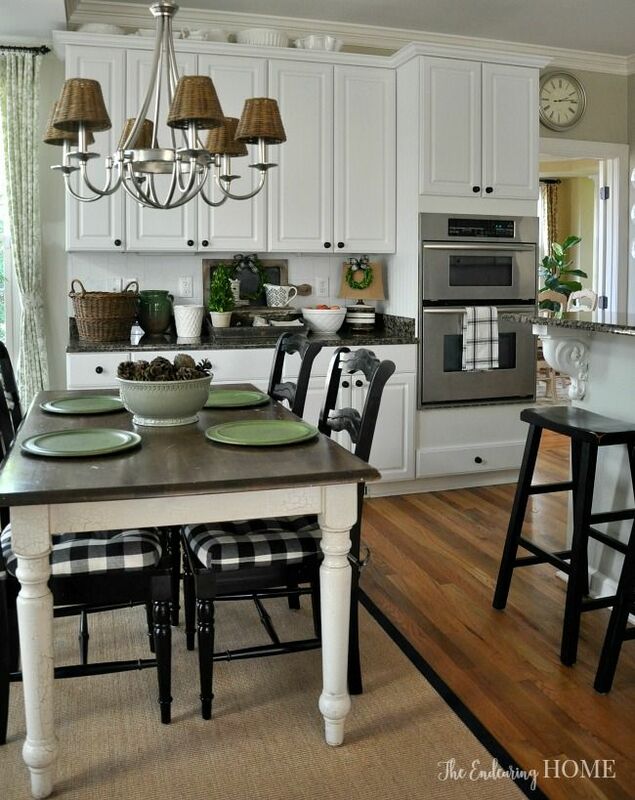 Therefore, farmhouse kitchen designs give a lot of attention to cooking and eating spaces. In addition to a dominant use of wooden furniture, table and chairs are taken seriously in this classic, countryside kitchen style. Kitchen table in this regard refers to cooking and dining areas. 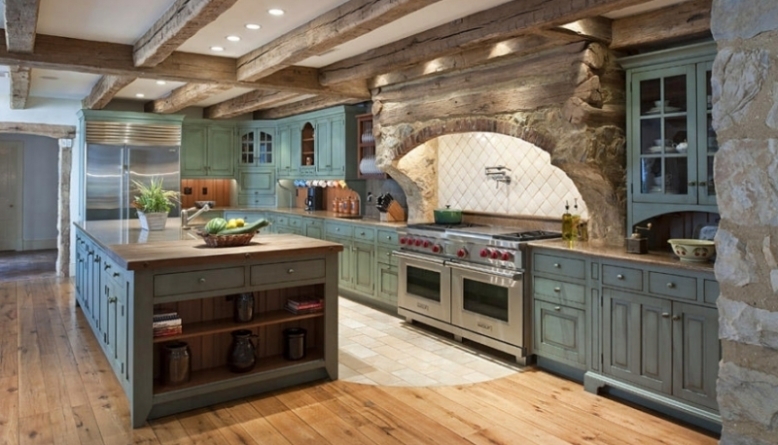 In a farmhouse kitchen, high-quality woods such as pine, oak, cherry, and maple, are chosen for the table material. Those types of woods can create a sturdy construction for both cooking and dining table. 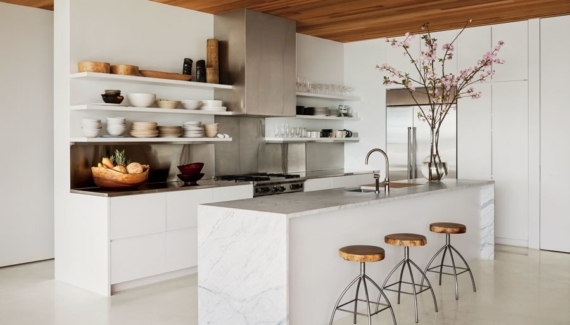 Cooking table or countertops in a farmhouse kitchen usually has an antique point, whether it is reflected on a shabby surface or rough texture. Meanwhile, the dining table is commonly formed in classic farm tables with long planks and solid legs. 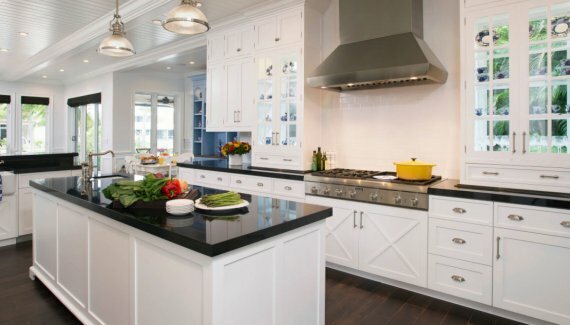 Built-in cabinets with glass door and wooden frame are mostly used in farmhouse kitchen designs. 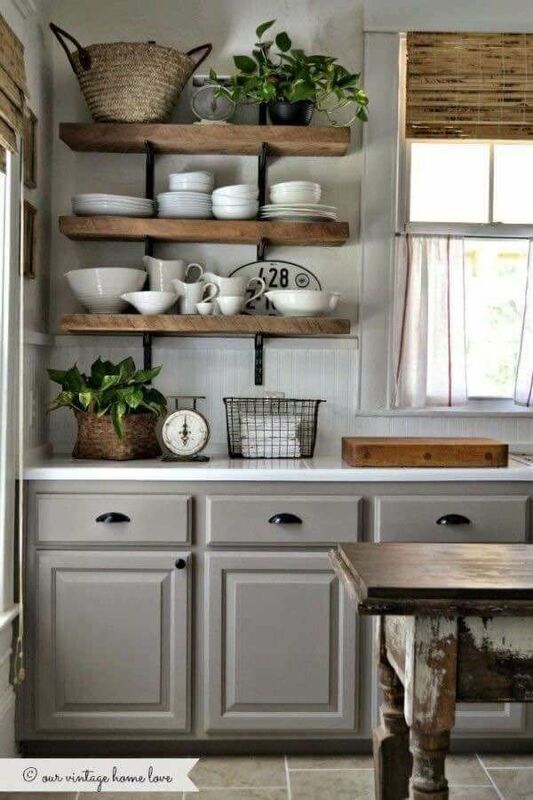 Additionally, the antique sense of cabinets in a farmhouse kitchen relies on the choices of accented colors. 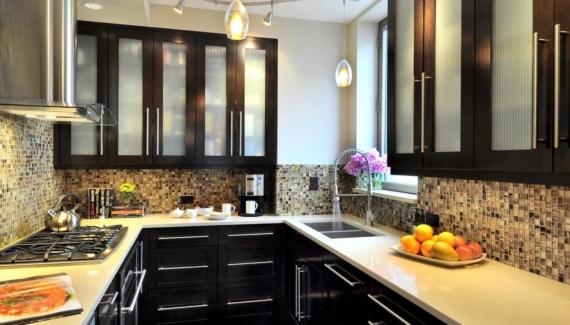 Muted hues such as gray or white are popularly chosen as the color for the cabinets. However, in a contemporary design, the cabinets are often accentuated by brighter colors, including blue, green, and yellow. 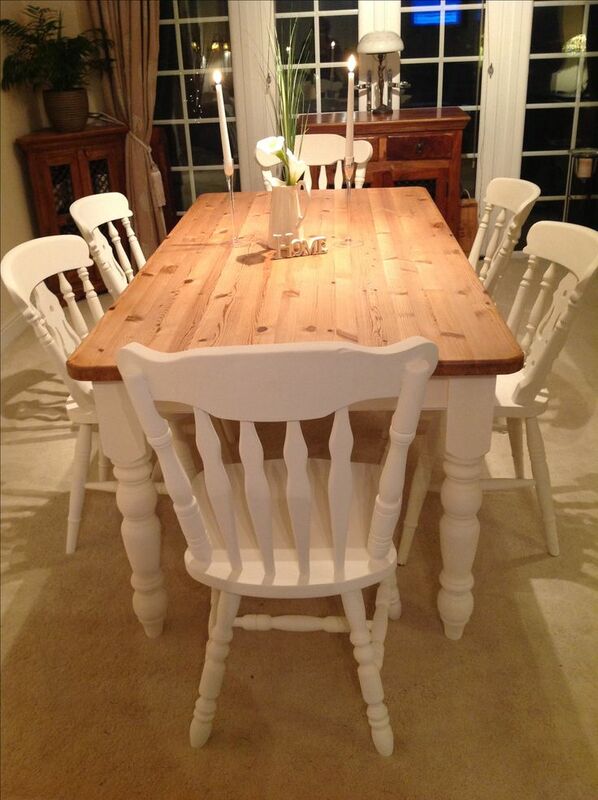 One distinctive feature of farmhouse kitchen chairs is the back and the legs that are rich in details. Using wood as the basic structure, the legs of the chairs are often carved, while the back is decorated by the traditional weave. You can also use bar stools as dining chairs which are usually found in a western-themed diner. Whether it is in the form of stools, tufted, or woven seats, chairs in the dining space of a farmhouse kitchen should be able to go along with the table. The consistency of this paired design can be reflected through the choice of colors and style. Nevertheless, in some cases, it is a fair thing to do to mismatch the style of table and chairs. For example, a classic wooden table is combined with metal chairs. Such choice of style blends modern and traditional look.